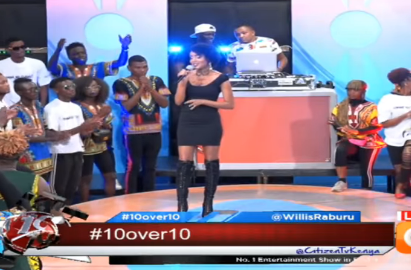 Kenyans have agreed with Ezekiel Mutua that Citizen TV show 10 over 10 is promoting immorality and misleading kids in Kenya. 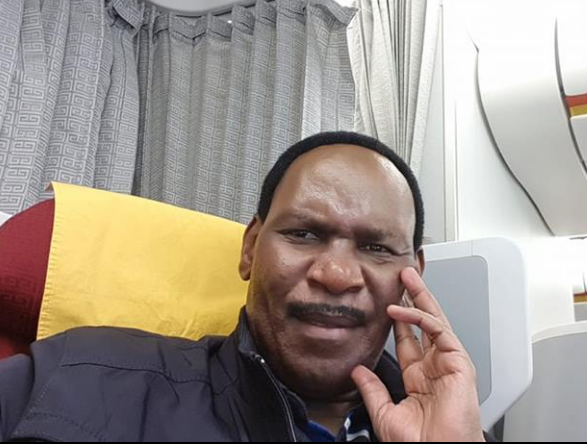 Joey Muthengi was on Friday hosting her last show after resigning and Ezekiel Mutua wasn’t happy. He took to Facebook to complain about the show yet again. “Joey says to the cheering fans as she signs off her last on 10/10 that she is going to the club after the show. She’s of course dressed the part. These are the role models for our youth. Is it any wonder we have such scary rate of teen pregnancies? 10/10 has promoted immorality among the youth in Kenya probably more than any other program in the country. I am told last night it was scatological obscenity paraded on a studio that is for all intents and purposes a club and a live discotheque. The youths are mobilized from the ghettos and entertained wildly the whole evening, cheering madly as they are being sexually turned on by irresponsible show hosts and artistes,” he said. Mutua has complained about the show severally saying that it should be banned because of it’s immorality. This time round Kenyans agreed with him fully saying the show has a bigger and wider impact and is destroying the youth. “Where do they go and what do they do after the evening of sexual arousal? Your guess is as good as mine. Although this show comes after the watershed period (past 10pm), it’s dirty and putrid. And the kind of rot aired last night is inappropriate and irresponsible given that kids are on holiday and likely to be watching. “The intention of this show is to sexually turn on the youth. It promotes immorality and the sole purpose for airing it is not to promote music or entertainment. No. It’s a tool for sexual perversion and wickedness. I wish the owners of the station could use the frequencies to promote real creativity within the bounds of ethics. They can defy decency and regulations all they want, but one day we shall have a country where media houses are not platforms for promoting perversion and sexual immorality to destroy our youth.” he said.